When it comes to transporting your Chiavari chairs, or chairs of any type, you want to be careful. Not only can you find yourself having to have more trips, dealing with storage issues, and even having problems with lifting capacity, but you could also be dealing with damage problems. You really don't want to damage your chairs due to improper carrying and storage. And, while the Chiavari chairs are simple and elegant enough for any occasion, the fact is you have to realize improper lifting might not just hurt the chair; It could also hurt you and your employees. Rather than suffering from a strained back or other muscle fatigue problems, look into the best ways of transporting your Chiavari chairs. When you purchase Chiavari chairs then you absolutely have made an investment. That's why you have to make sure you continue to protect them by moving and storing them. This is best done with the Chiavari chair stack Dolly. The hand trucks that are built custom just for the transportation of these chairs is everything you are need it to be. When you throw in the fact that any banquet, catering function, or even just regular cleaning and transportation can happen in literally minutes, then you'll absolutely the importance of the Improving your operation by doing things the safe way with using a Chiavari chair stack dolly. 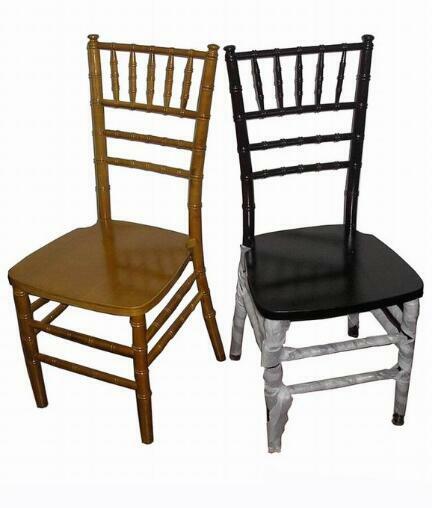 When transporting or storing your stacked Chiavari chairs, you also want to provide the greatest protection for them. Whether for simple shipping, storing for periods of time, or even transporting your stacks around in backs and on the trucks Chiavari stack chair, you dolly absolutely look into the Chiavari chair stacking cover. Instead of dealing with nicks, scrapes, or even other major problems that could harm, be assets you sure protect to the best of your them with the ability stacking. Each cover can accommodate stacks of seven chairs. If you start to consider the need of transporting your Chiavari chairs the right way, then you cannot afford to do it incorrectly. You want to protect your chairs, of course, but you also want to protect yourself and your employees from possible injury. Make sure your business is following proper lifting procedures. Back strains can be more than just aggravating; They can be lengthy with respect to the time your employees would be out from the. Taking time to consider the proper ways for storing and transporting your Chiavari is a chairs for your must. Contact us today if you have more questions about this article or Chiavari chairs.